Oil on canvas, 21-9/16 x 58-3/16 in. The above image will be the cover to the second episode of James Everington’s Spectral eBook serial, The Quarantined City, entitled Into the Rain. Follow the protagonist Fellows as he gets deeper into the writings of the mysterious Boursier and the effects they have on him and his surroundings. The plot thickens, as someone famous once averred. 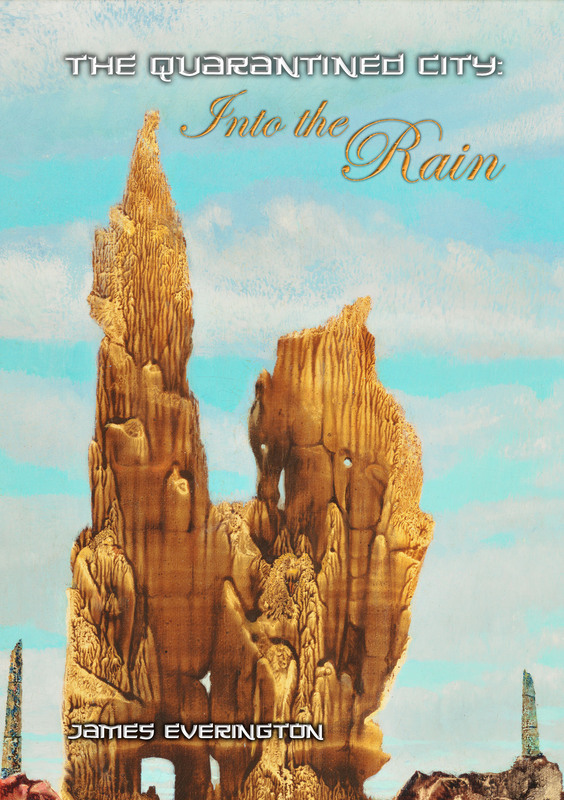 Once again, Neil Williams has provided layout duties for the cover, which is a detail from Max Ernst’s stunning painting Europe After the Rain, 1941 -1942. The episode will be available from Amazon at the end of this month. Look out for it! 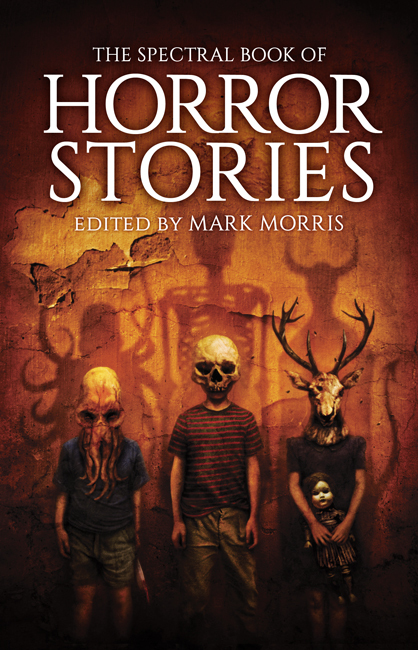 Also, congratulations are due to Angela Slatter on her Spectral chapbook from last year, Home and Hearth, making it on to Locus magazine’s Recommended Reading list as well as Brian Hodge’s story from The Spectral Book of Horror Stories. Congratulations all round! 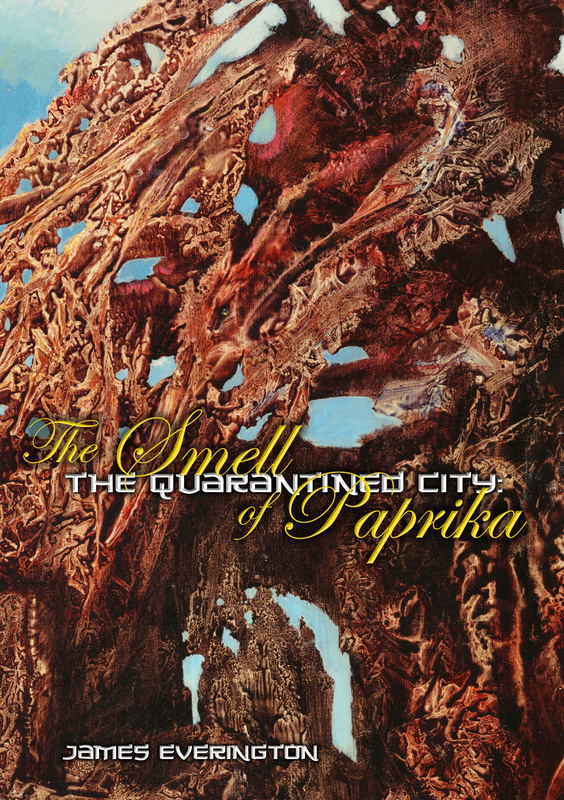 The first episode of the new Spectral Press eBook serial The Quarantined City by James Everington, The Smell of Paprika, will be available very shortly on Amazon. Above is the rather gorgeous cover – a detail from Max Ernst’s 1942 painting Europe After the Rain II, reproduced by kind permission of the The Wadsworth Museum, Hartford, Connecticut. Layout duties have been ably performed by Neil Williams. The Quarantined City: sealed off from the outside world, with only the sight of the ocean to remind its inhabitants of life beyond. No one knows why the city has been quarantined and conspiracy theories abound. But for Fellows life continues largely as before. He walks the streets, hunts out rare books; the sun continues to shine and the gulls circle above. There’s the small matter of the ghost haunting his house, but Fellows doesn’t let himself think of that. 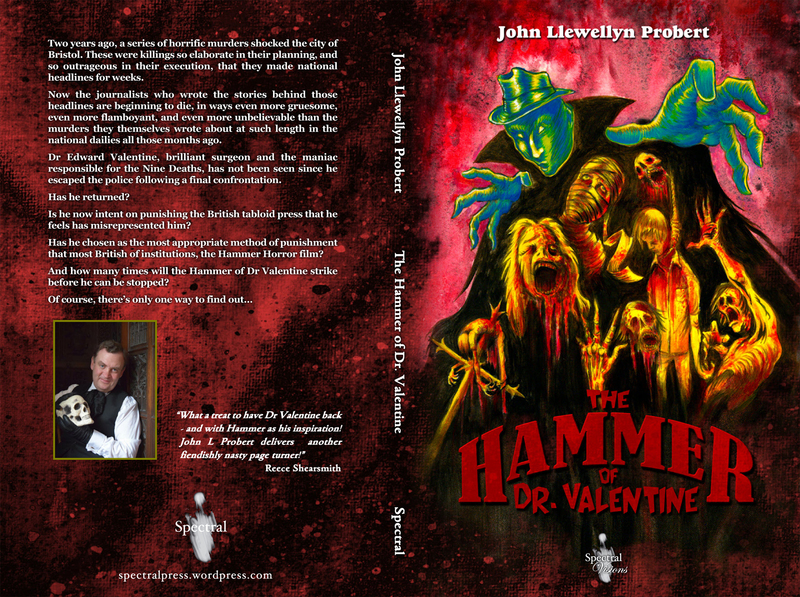 “The Hammer of Dr. Valentine” ©2014 John Llewellyn Probert/Spectral Press. Artwork ©2014 Nick Gucker. Layout ©2014 Neil Williams. The Hammer of Dr. Valentine: limited signed hardback (100 only). Copies to preorder customers are starting to go out today! It’s Friday, the one day everybody agrees is the best day of the week, because the weekend is here! It also means that it’s time for another one of Angela Slatter’s mini-interviews of contributors to The Spectral Book of Horror Stories, and today she talks to herself about her story The October Widow. You can read it for yourself HERE. Even more exciting news is the fact that the new Spectral Press website is LIVE – go HERE to have a look. We shall be blogging on THIS site for a while longer to maintain continuity but we do encourage you to go on over and sign up to get regular updates on what’s happening in the world of Spectral. The new site is much more flexible and easier to use, the shop is fully enabled, and finding what you’re looking for is also a whole lot easier. You can also contact us directly through the contact form should you have any questions. Good morning from a cold but beautifully sunny and bright blue sky day here at Château Spectrale. Today, we are going to tell you about the latest ‘episode’ in the ongoing eBook monthly serial from Spectral, Black Mountain by Simon Bestwick. 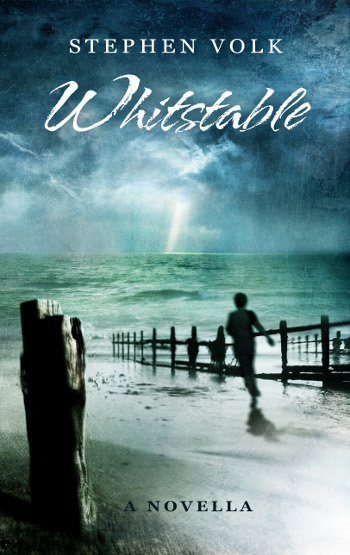 The cover artwork, by the inestimable Neil Williams, is shown above. Continuing the chronicling of the strange events around Lake Bala in North Wales, the third in the series, The Strange Death of Britt Nordenstam, looks at what happens when an archaeology professor takes student volunteers on a dig at the remains of a medieval village around the lake’s shores, and one of their number goes mysteriously missing, vanishing completely without trace. The woman is just one of a line of people to do so over the years. The events will have tragic repercussions that go well beyond the fate of the woman in question, the Britt Nordenstam of the title, setting in motion a chain of events that will deeply change a number of people’s lives forever. Jut what is going on in North Wales – and how many more victims will it claim? 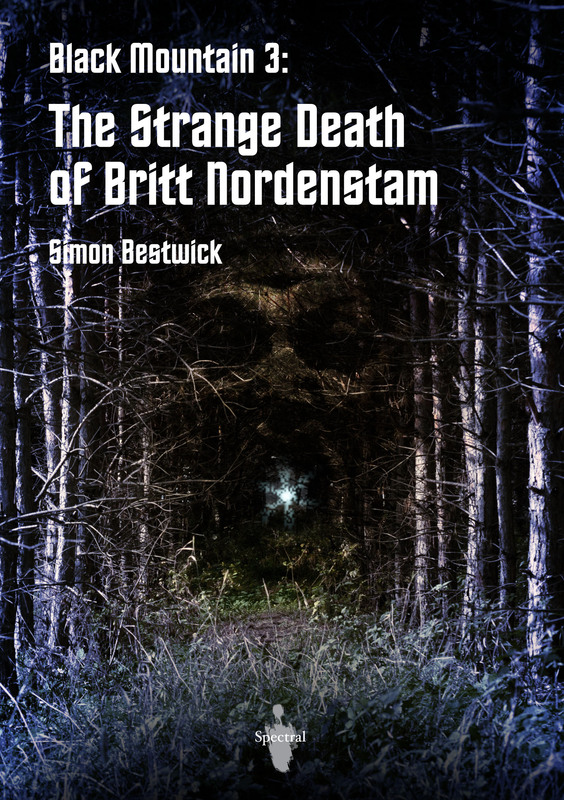 Black Mountain 3: The Strange Death of Britt Nordenstam will be available on Amazon by the end of the week. Additionally, the opening chapter, Black Mountain 1: The Red Key, will also be made available, as is Black Mountain 2: The Ghosts of Hafan Deg. 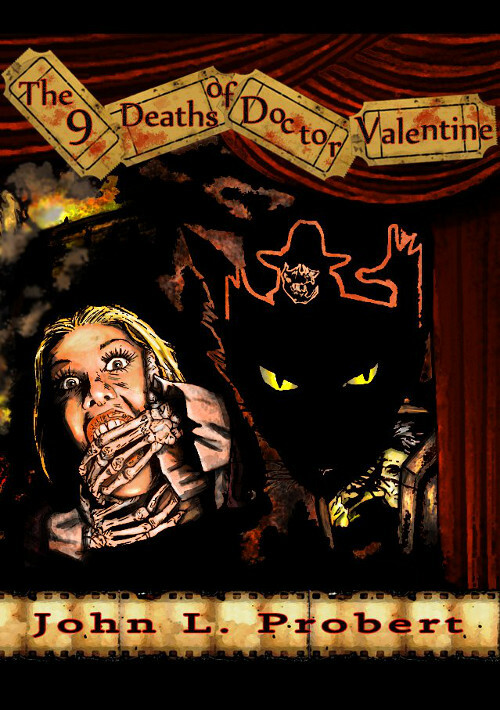 Yes, that’s right, the (mis)adventures of everybody’s favourite monstrous villain Dr. Valentine is now available as an eBook from Amazon – just click on the appropriate link below and it’ll be yours in no time! 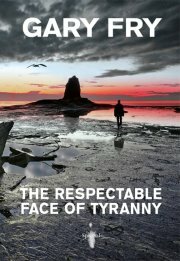 The Respectable Face of Tyranny will also be available as on Kindle early next week!